Definition A distinctly 21st century style, Transitional is hot with older millennials wanting a more sophisticated look for their home. Transitional is perfect for this generation – it combines their love of vintage style with their desire to put their own twist on things. And that’s exactly what Transitional is – putting a contemporary spin on classic designs. Transitional is one of the few styles that results in spaces that are both masculine and feminine – perfect for couples struggling to combine their styles. History There isn’t much of a history to this style, as it’s still new in terms of the entire history of design. The word Transitional was first used as a distinct style name around 2010. 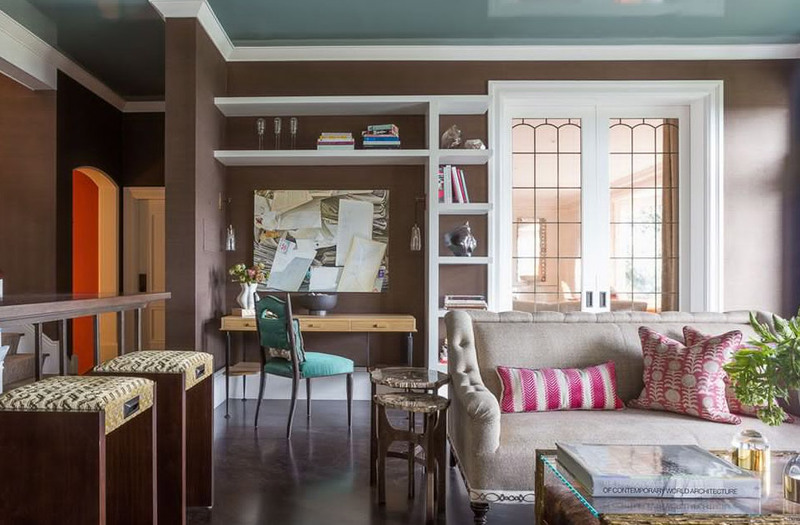 There has always been a combining of styles that happens in design – however the distinct look of Transitional began in the early 2000’s and truly took hold this decade. Spot the Style Transitional takes the overly ornate furniture and patterns of the classic traditional styles (think Victorian era) and strips away the stuffiness. Think tufted sofas with soft curves, classic patterns that are oversized, and wingback chairs with a little less “wing” to them. 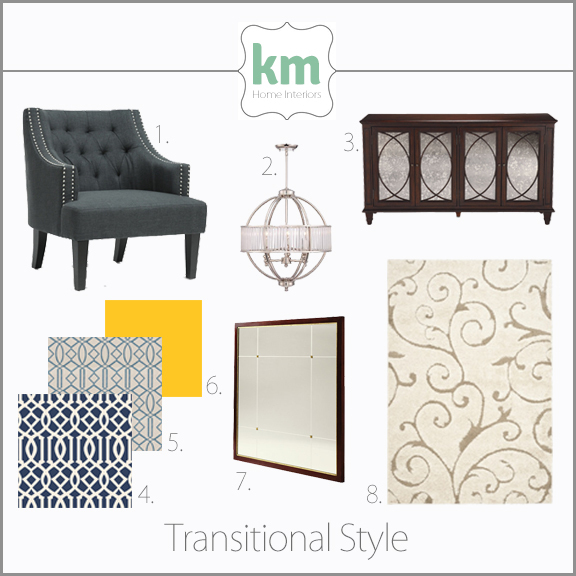 Transitional style is known for neutral color palettes that are accented with pops of bold colors. It’s the best of the timeless design elements mixed with today’s trend of inviting furniture that you actually want to sit in. Where Victorian embraced very dark, heavy wood pieces, Transitional combines different types and finishes of wood and goes for light, airy furniture. Traditional styles called for endless accessorizing, but Transitional focuses on a few thoughtful pieces, placing value on the impact of negative space. Notables Barbara Barry is the mother of Transitional. She was one of the first designers to take traditional furniture shapes, soften them with a more modern feel, and create that classic Transitional look that seems to have universal appeal. Everything you need to know about Transitional you can learn from studying a Barbara Barry room.